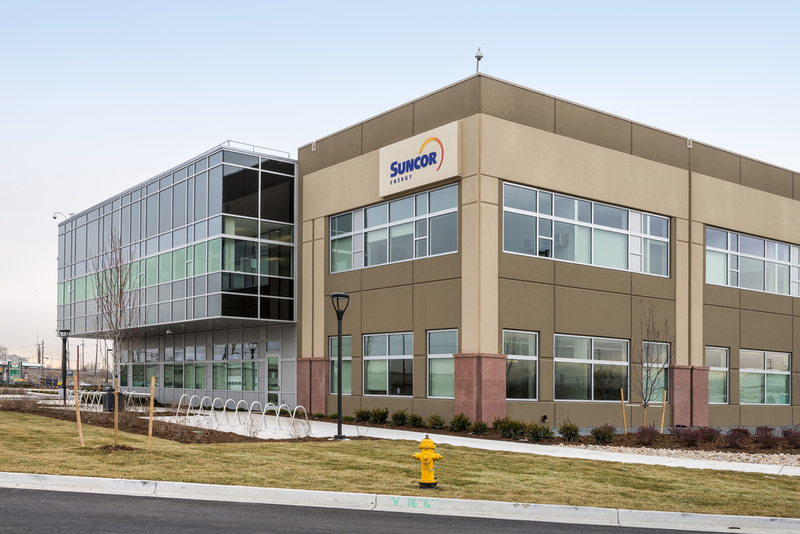 Suncor Energy is a Canadian energy company which operates one of its refinery centers in Commerce City, Colorado. 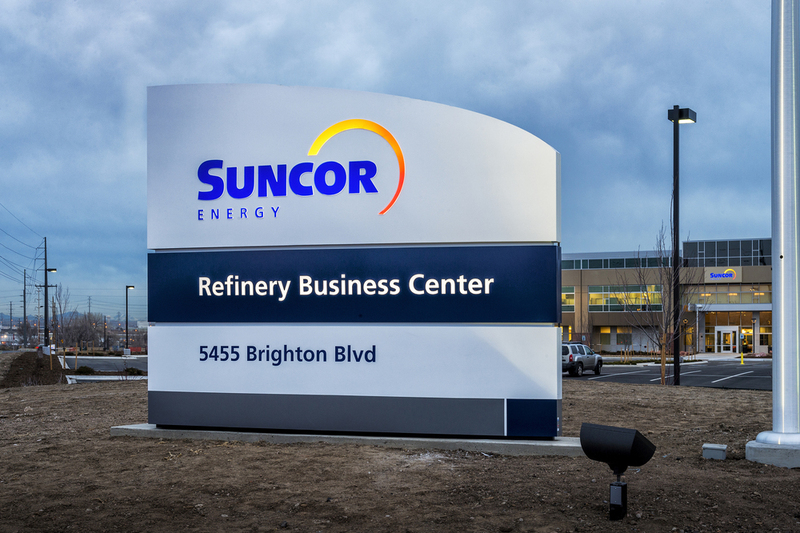 As part of the fossil fuel sub cluster, Suncor is a large contributor to Colorado being ranked 4th for employment concentration and is also ranked number 134 in the Forbes Global 2000 list. 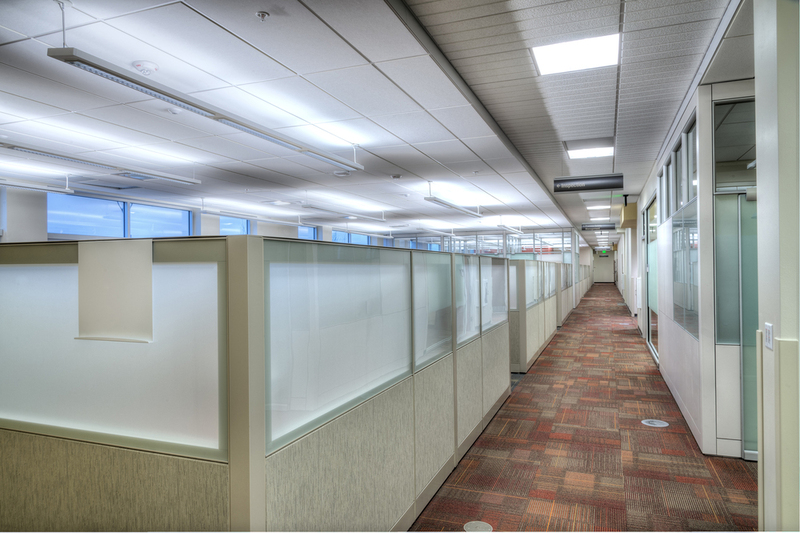 Suncor Energy (USA) approached Intergroup to find the best sustainable office solution for their long-term growth and strategy. Their employees had been operating from several office locations and temporary trailer buildings across the Denver-Metro area. After conducting several feasibility studies for office locations the best long-term solution was to build a new building from the ground up on the refinery premises. While considering the current site, the client first approached Intergroup about designing the building within the oil refinery “blast zone.” After the preliminary design, the client moved the building outside the blast area. At that time the client and design team decided Tilt-Up concrete panels offered the best choice for an accelerated construction schedule and implementation of sustainability elements. The building’s long linear form is deftly perforated with tall expanses of curtain wall, which weave in and out of the rectangular Tilt-Up panel envelope. 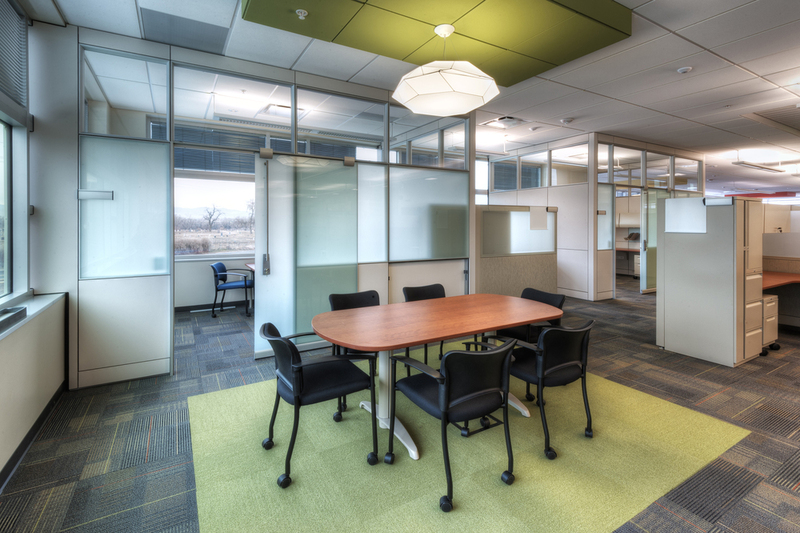 The weave naturally enhances visual appeal while contributing to the LEED credits earned for both daylighting and views. The use of Tilt-Up panels, combined with abundant glazing and steel, help tie the building’s aesthetic back to the refinery process towers visible a short distance away. The concrete panels develop a high performance building envelop and contribute to the overall effectiveness of the building’s underfloor air distribution system. With limited construction waste on the job and increased recycled materials, the project finished with environmentally responsible construction practices. 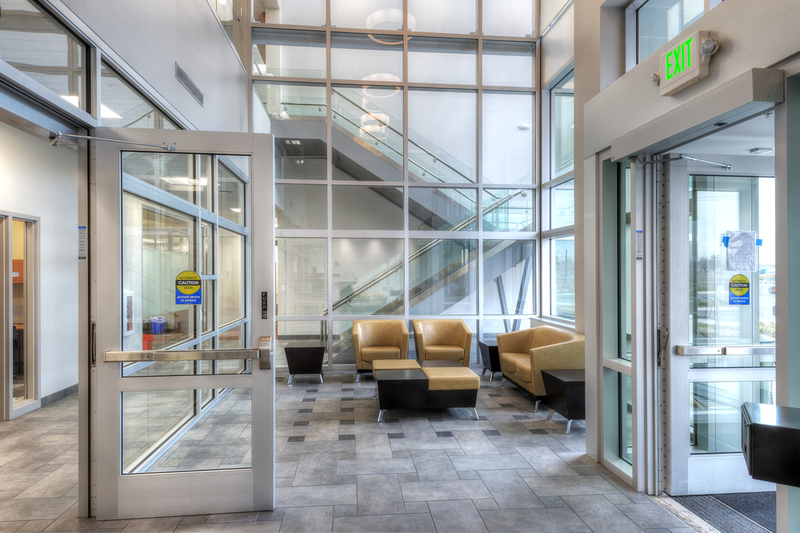 The building’s two-story lobby is open and inviting, a welcoming primary entrance framed by a large east-west spandrel panel. A secondary entrance is highlighted by a tall, thin Tilt-Up panel faced in sandstone making the overall facility a four-sided design that manages to segregate public and back of the house functions without turning its back on the client’s most valuable resource, their employees. 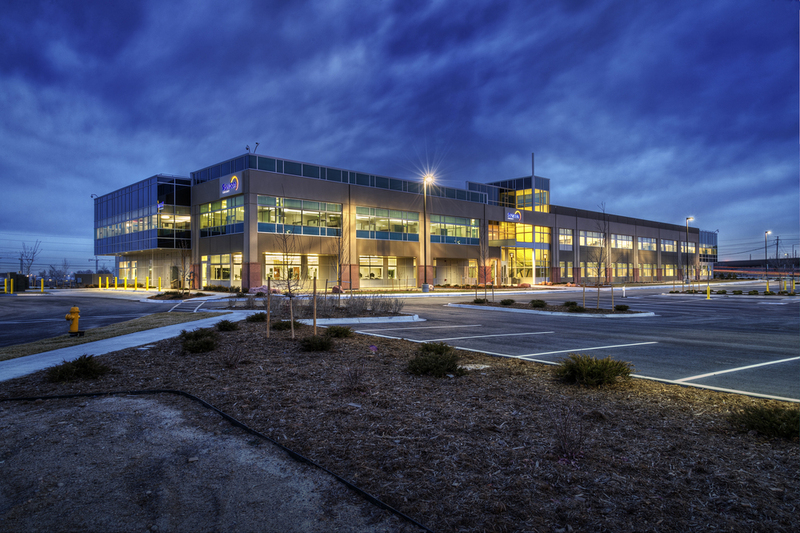 This project achieved LEED Silver and has also been awarded the 2013 Tilt-Up Achievement Award, the 2013 Engineering News-Record for Best Projects, and the American Builders and Contractors 2013 National Excellence in Construction Award.